If you are a family member, friend or carer of someone living with mental health issues or disability, you can feel confident that Wellways respects and understands the important role you have in their life, as well your needs as an individual. Assisting families, friends and carers is an important part of what we do. We help you to identify your needs and achieve your goals, in a way that is tailored to you. Our support aims to promote resilience and coping skills, increase understanding of your caring role, and to assist you to make connections in your community. You will receive support from people who have personal experience in a caring role. Our award-winning Wellways peer and community education programs are the foundations of our work with families, friends and carers. For more information, please contact Wellways on 1300 111 400. Building a Future is a peer-led education program for family members of someone experiencing mental health issues, connecting them with peers while helping them gain knowledge and skills about mental health. If you care for someone receiving a package from the NDIS, Wellways can support you to look after your own health and wellbeing. Respite provides an opportunity for families, friends and carers to take a supported break from their usual caring responsibilities, helping them connect with their peers and relax. Christina is a carer for her adult son, Ashley. 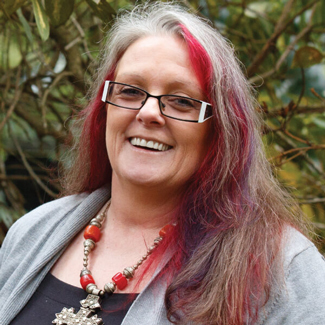 She shares her story of how a Wellways carer advocate first opened her eyes to what services were available to her. She now regularly attends carer events, which she says have changed her life.